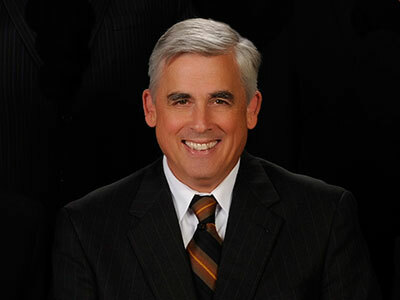 Well known and respected trial attorney Bruce R. Bachhuber is the senior partner at Hanaway Ross Law Firm. A Wisconsin native, he graduated from University of Wisconsin-Green Bay, with honors, in 1978, and from University of Wisconsin Law School, with honors, in 1983. Bruce has tried numerous complex civil litigation cases, and over the course of more than 30 years of experience has helped individuals and their families cope with injuries or death resulting from automobile accidents, defective products, unsafe premises, and civil rights violations. Bruce Bachhuber served as President of the Wisconsin Association for Justice (WAJ – formerly Wisconsin Academy of Trial Lawyers) in 2004, and has served on the executive, program and legislative committees and as a regional officer for WAJ. He remains a member of the WAJ Board of Directors. Attained the highest rating, AV, by Martindale Hubbell, a respected peer review publication. Recognized as a Wisconsin Super Lawyer by a publication devoted to identifying the top 5% of all lawyers in the state. Appointed by the Wisconsin Supreme Court to serve on the Office of Lawyer Regulation’s District 14 Committee, a group responsible for investigating complaints of lawyer misconduct. He presently serves as Chairman of the District 14 Committee. $1.6 million settlement for the family of a small business owner badly injured in a vehicle collision. $1.565 million settlement for a young woman injured in a motorcycle collision. $699,000 jury verdict for the family of a man injured in a motor vehicle accident. $497,000 jury verdict for a man who lost three finger tips in a work injury. Jury verdict and $3.2 million settlement after successful appeal on civil rights claim by family of anonymous citizen informant murdered after police disclosed identifying information about the informant – see article about the case in the L.A. Times. Reported appellate cases include the successful appeals relating to the civil rights case, both in the 7th Circuit Court of Appeals, as well as the Wisconsin Court of Appeals. Frequent speaker at programs sponsored by the Wisconsin Association for Justice and the State Bar of Wisconsin. Member of the Aurora BayCare Medical Center Ethics Committee. As the parent of a child with special needs, Bruce enjoys assisting special needs children and young adults that participate in Special Olympics. He was recognized by the Brown County Association for Retarded Citizens with the President’s Award for his service on behalf of the mentally retarded. He remains a strong advocate for the rights and protection of those who are disadvantaged. Admitted to the Wisconsin Bar Association in 1983. Admitted to practice in all Wisconsin state and federal courts, the Seventh Circuit Court of Appeals and the United States Supreme Court.